In this clip from Game animation program, Animschool's instructor John Paul Rhinemiller talks about off sets and bringing personality in a game character even during loops. Hi Katelyn! Can you start by telling us a little bit about yourself and your previous modeling experience? Sure! 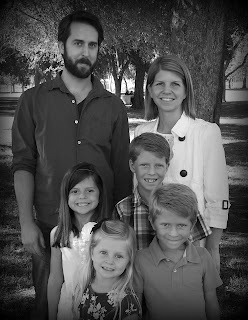 I grew up in southern California and always had a passion for cartoons and animation. I stayed close to home and attended a film school, hoping to study animation there. When I first started at the university, I was actually planning on being a 2D animator! I didn’t know anything about 3D, but that quickly changed. I took some basic Maya classes at my university and really fell in love with CG animation. 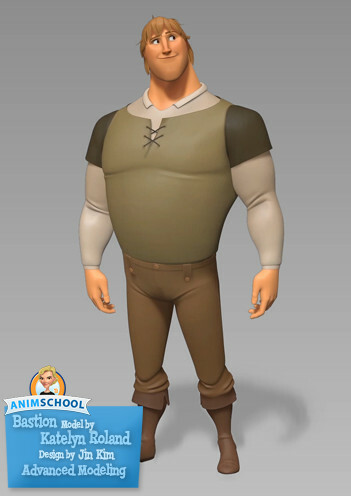 Coming into AnimSchool, I had a decent understanding of Maya and modeling, but nothing too advanced. I had never even used Zbrush before! Which I always laugh about cause I can’t imagine not using Zbrush now. Do you remember the moment you realized that this was what you wanted to do? Yes! It was actually thanks to AnimSchool that I realized what I really wanted to do. 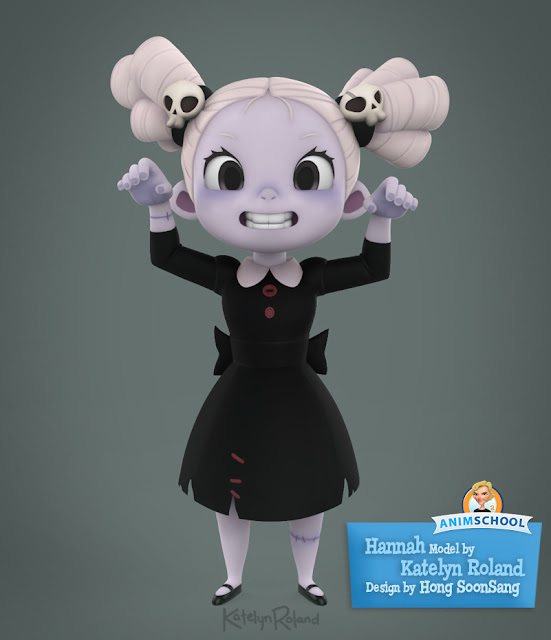 I originally entered the character program with the intent of focusing on character rigging. 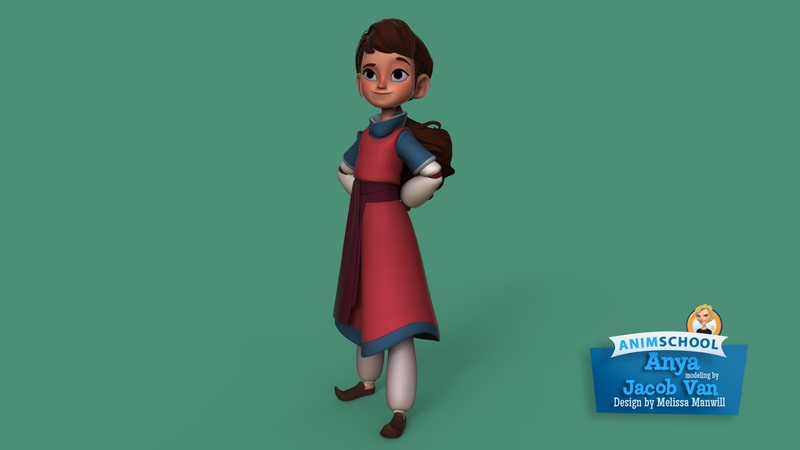 I had always enjoyed both character modeling and rigging, but had somehow gotten it into my head that it was much more difficult to get a job in modeling and that I couldn’t do it. Since I also enjoyed rigging, I decided to focus on that more instead. 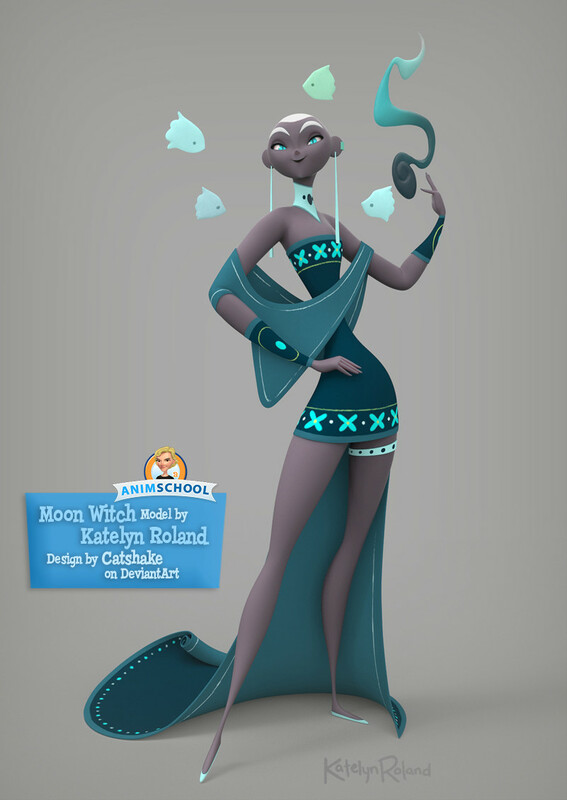 But after taking the intermediate modeling class at AnimSchool, I had so much fun making my model, and got such positive feedback, I realized I could succeed at modeling if I actually gave myself a chance! Was there any time while learning 3D that you felt overwhelmed or wanted to give up? How did you overcome it? Well like I said in the last answer, I originally intended to be a character rigger. I don’t think rigging was ever my passion, but I was trying to force myself to do it anyway. So I definitely started feeling overwhelmed in the rigging classes. The interest wasn’t there and nothing was making sense to me after a certain point. I really wasn’t enjoying myself and I did feel like I just wanted to give up. So I did! I know that’s not the positive, never-give-up response people want to hear, but that’s what I decided to do! And I think it was for the best. 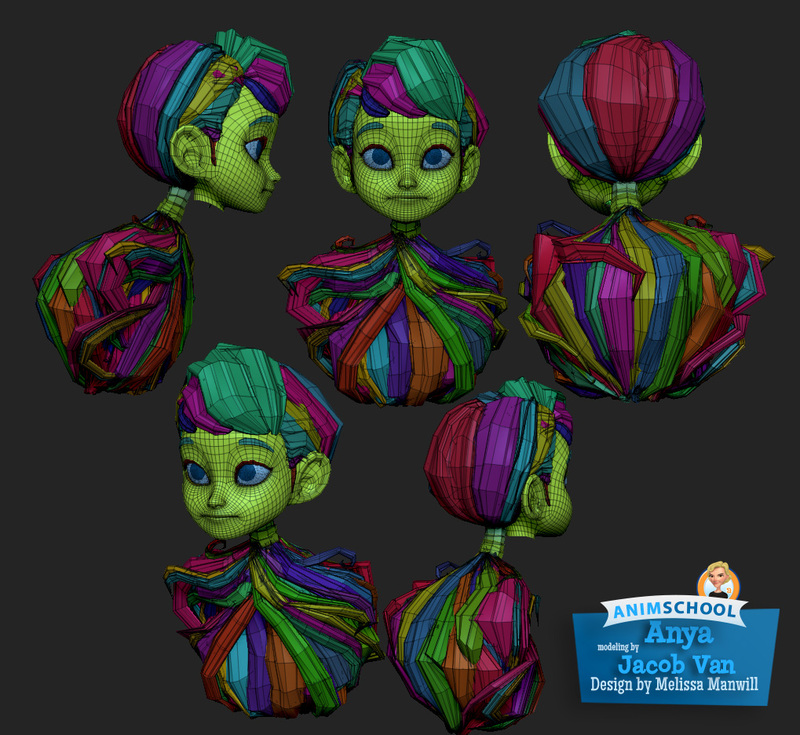 I knew even after I finished the rigging classes, it wasn’t going to be something I pursued, so I saved myself some stress and gave up on the rigging classes. It gave me more time to focus on modeling, the thing that was my passion, and I was happier that way! 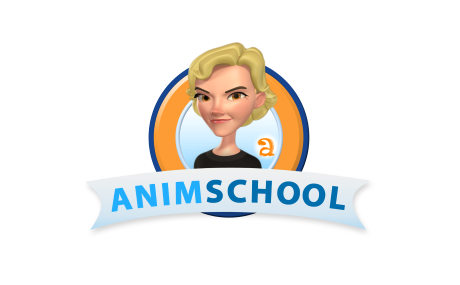 Is there a particular lesson you learned during your time at Animschool or advice that you'd like to share with people just starting out? Apart from actual modeling techniques, I think the thing that stuck with me the most is that you really have to put the time in! As with all art forms, no one gets better overnight. And you can’t always finish your homework assignments with just one all nighter either! 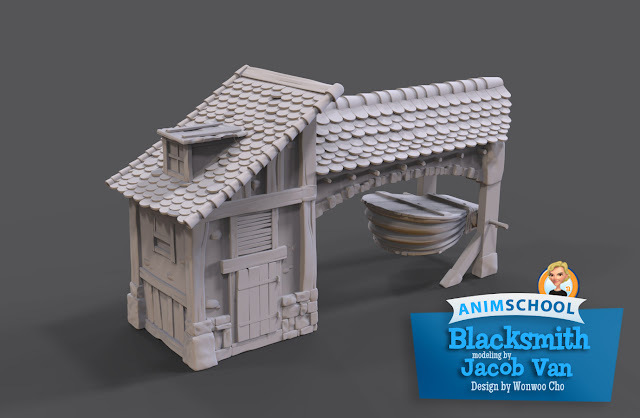 We can see from your beautiful 3D models that you’ve grown a lot since starting Animschool. How do you think you've improved as a modeler? I think I’ve improved in a lot of ways. I learned so much during my time at AnimSchool. First of all, as I mentioned earlier, I actually learned to use Zbrush for my models now! That alone has helped improve my models immensely. Also thanks to the modeling classes at AnimSchool, I learned a lot about appeal, which is arguably the most important thing for characters. 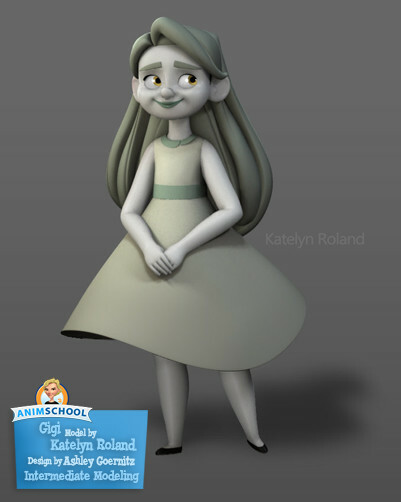 I still have a lot to improve on, but AnimSchool helped me get up and going in the right direction! 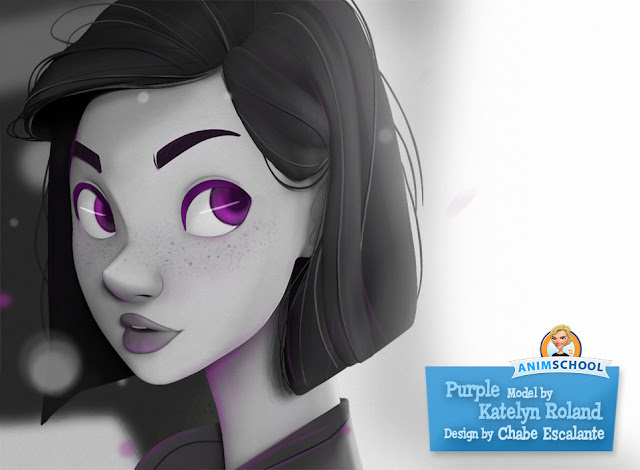 Are there any particular artists or modelers in the industry who inspire you? My advanced modeling teacher, Dylan Ekren, is always inspiring! His models are gorgeous and I was very lucky to have him as a teacher. There are so many other modelers that inspire me, but I can’t remember the names of them all now. I really enjoy the work of Michael Defeo, Matt Thorup, Chad Stubblefield, and Brandon Lawless to name a few! What have you been up to since you graduated? Any new projects that you've been working on? Not too much yet! After graduation I was mostly working on polishing up my reel and portfolio to start looking for jobs. Luckily a job found me! I started working at Ready at Dawn Studios at the beginning of this year, and that’s been keeping me pretty busy for the time being. Where do you hope to end up from here? What's the ultimate goal? Hmm. I’m not sure to be honest! Originally my goal was always to work in feature animation. Right now I work in games, which is something I wasn’t expecting, but I’m having a lot of fun doing! For my ultimate goal...I think I’d really like to work in television animation, but I know CG TV shows aren’t quite up to par. I’d like to get them there! I’d love to see more engaging and better quality animated CG shows. Thanks for chatting with us Katelyn! Modeling Reel Summer 2015 from Katelyn Roland on Vimeo. 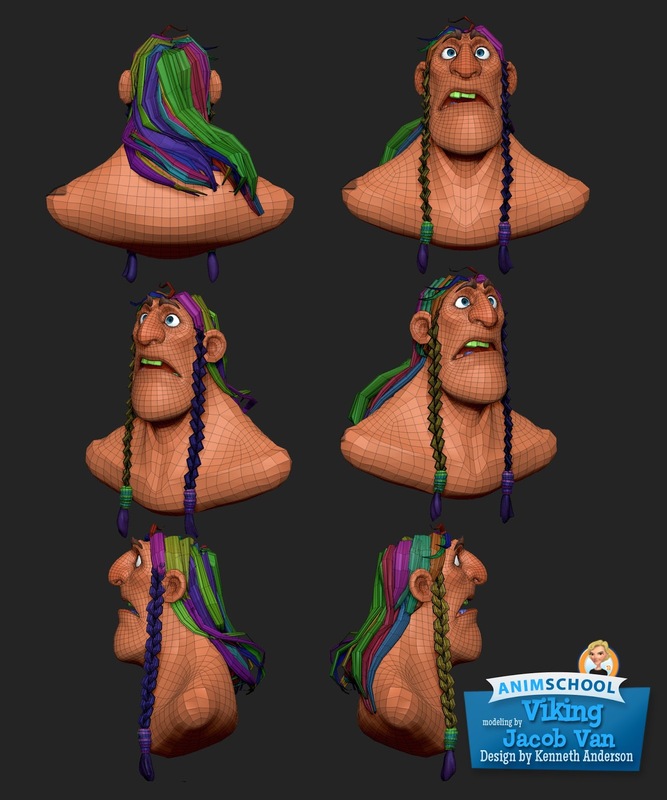 In this clip from AnimSchool's Advanced Rigging class, instructor Nico Sanghrajka shows us that it is just as important to study facial expressions for rigging as it is for animation. a: Why the bouncing ball is crucial to understand timing. b: How it helps bringing all the elements in a scene together. He gives example of an orchestra. c: What does "floaty, swimmy animation" mean and how you can avoid it. d: How crucial timing is to help deliver a comedic punch. 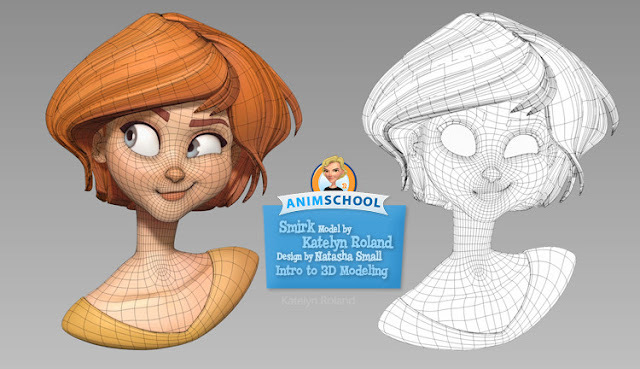 In a lecture from AnimSchool's ZBrush Modeling class, Blue Sky Studios Modeler and our instructor Adam McMahon shows us his method of creating a base head model. While the fun may come later, it is very important to have a simple, accurate base to start from. Correctly blocking out the main forms early can eliminate the need for any major changes down the line.